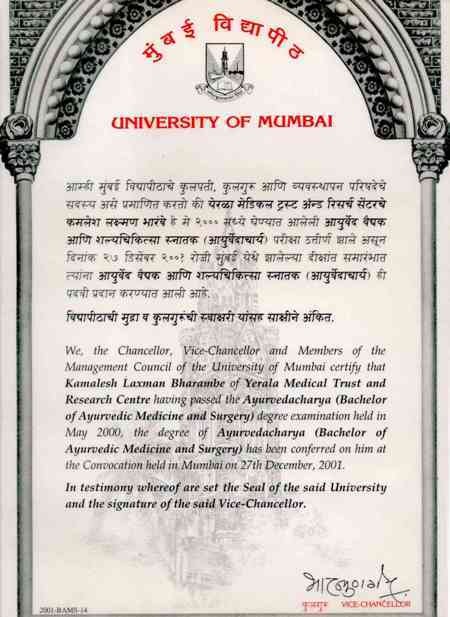 Dr. Bharambe graduated with a Bachelor of Ayurvedic Medicine and Surgery from Yerala Ayurvedic Medical College (Mumbai University) in 2001. 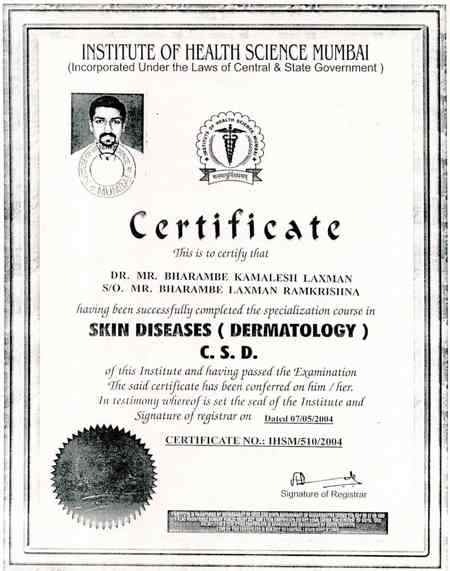 He was certified as a Skin Diseases (Dermatology) Specialist in 2004 by the Institute of Health Science Mumbai. 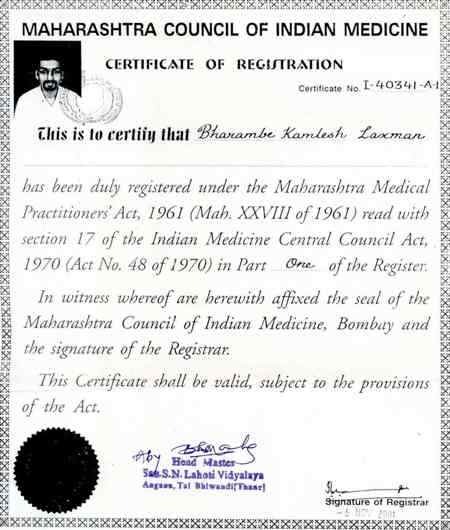 Dr. Bharambe has worked as an Ayurvedic Physician since 2001 serving clients at Dhanvantari Vaidyashala (Kalyan), Shivam Ayurved Bhandar (Thane), Poddar Ayurvedalay (Shahapur), Suyog Clinic (Kalyan), and Dhanvantari Ayurvedic Chikitsa Kendra (Shahapur). He has gained extensive experience in treating Skin Ailments, Asthma, Diabetes, Epilepsy, Osteoporosis, and Arthritis.